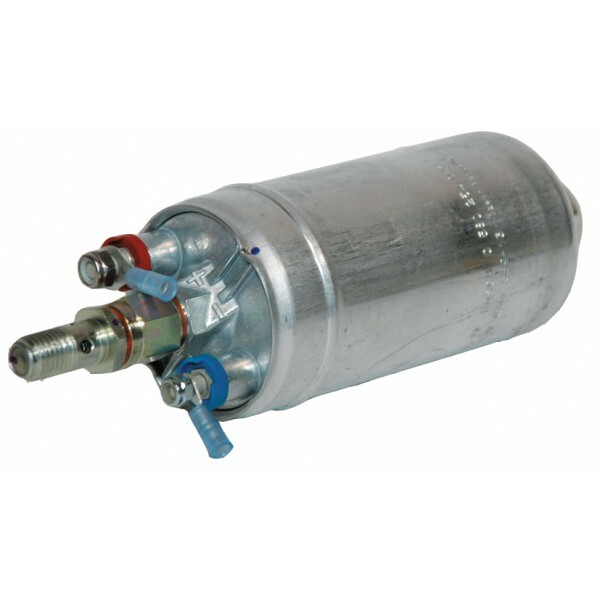 The Bosch FP044 High Output fuel pump delivers outstanding performance and durability. One of the most popular pumps on the market for performance and racing applications, the FP044 is the champion's choice!The Bosch 044 fuel pump is versatile, allowing you to mount your fuel pump externally as an inline pump, or as an in-tank pump. Fittings available for inline use and for in-tank use. The Bosch FP044 High Output fuel pump delivers outstanding performance and durability. One of the most popular pumps on the market for performance and racing applications, the FP044 is the champion's choice! The Bosch 044 fuel pump is a versatile pump, allowing you to mount your fuel pump externally as an inline pump, or as an in-tank pump. • 12 Volt • 72 PSI (5 bar) max pressure • 300 LPH @ 42.5 PSI (3 bar) • 200 LPH @ 72 PSI (5 bar) Fittings available for inline use and for in-tank use.